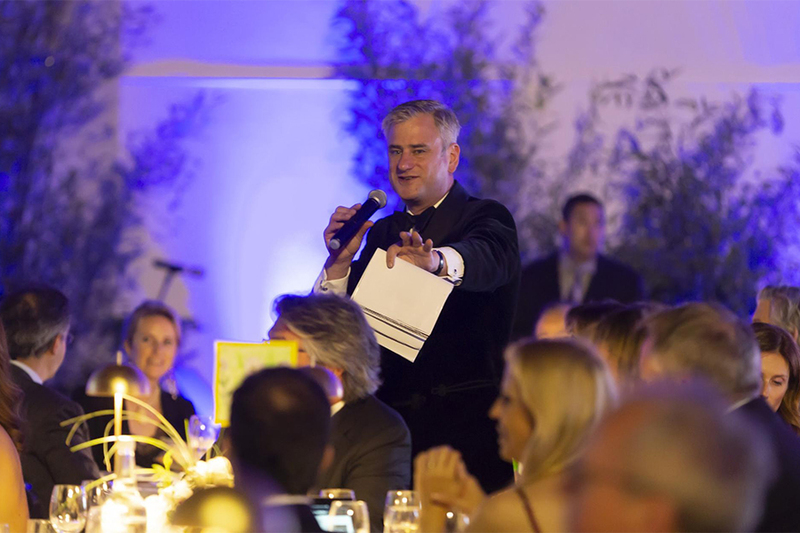 TPA Spring Gala Raises More Than CHF 100,000! 178 guests enjoyed an elegant aperitivo, a gourmet dinner, and a highly entertaining live auction at the “Building the Future” Spring Gala on the TASIS campus on the evening of April 21. Thank you to everyone who supported this event! Enjoy a recap of the evening. Please note that raffle tickets can still be purchased until May 7. The TPA will be selling tickets every morning next week in the parking lot during drop-off (look for Brunella Pignaton) and at the Gazebo during afternoon pick-up. 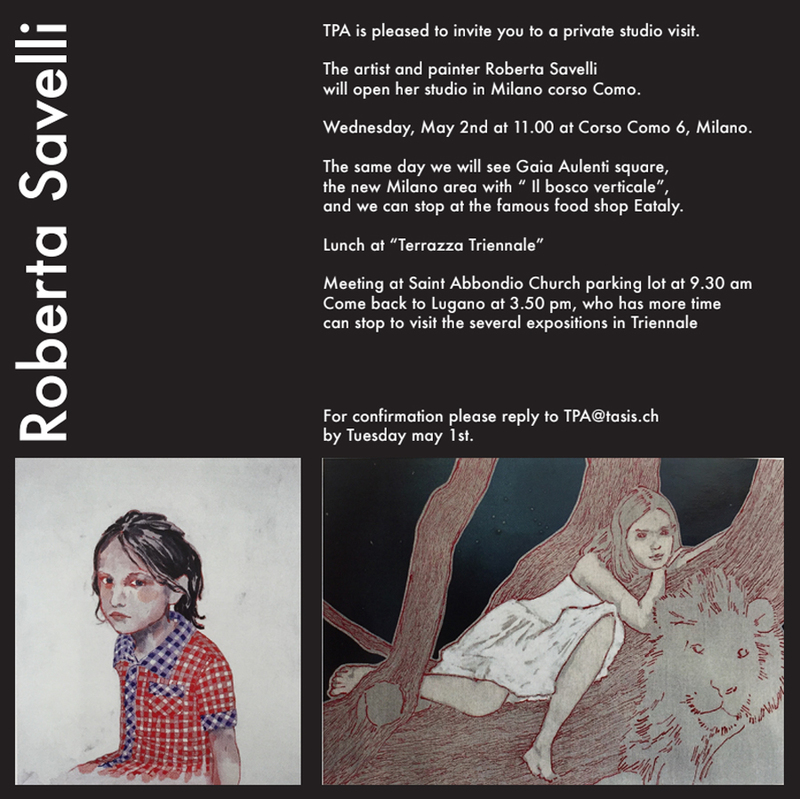 Tickets can also be purchased during the school day at Reception in De Nobili or from Ms. Shireen at Focolare. A list of raffle items can be found here. Thank you once more for your support of the TPA Spring Gala! The Spring Midterm Dean's List has been posted in Belvedere. Congratulations to the MS students on the list! Being on the Dean's List comes with the privilege of going to Sara Li's or the Snack Bar on Wednesdays after lunch. Please inform the school of any absence (for the full academic day, single classes, or after-school activities) as soon as possible. Students can’t be dismissed early from classes if we haven’t received any communication from their parents in a timely manner. To report an absence, please go to the Student Attendance & Transportation Request area of the Veracross Parent Portal. Please be specific, make sure to choose the correct date, and always provide the reason. An absence may only be excused by the School, which reserves the right to determine whether an absence is excused or unexcused. Early Dismissal - Return (some classes missed due to medical visit, family emergency, documents renewal, etc): Provide the time when the student has to be dismissed and the time he or she will return to school—or specify the classes that will be missed in the notes field. Whole-Day Absence and Multi-Day Absence: If a student is sick for more than three days, send a note from a doctor explaining the circumstances to ms.attendance@tasis.ch. If you have any questions regarding the attendance records or need assistance in reporting the absence in Veracross, please contact ms.attendance@tasis.ch. This past Wednesday’s assembly was dedicated to MS Service Learning. Staff Appreciation and Sustainable Living groups shared information about their club and talked about their activities and projects. On Wednesday, May 2, the Middle School will have its second Cultural Assembly of the year. We are looking forward to several students sharing their creative work in front of their teachers and peers. This is a great opportunity for our students to perform and to practice being supportive audience members. 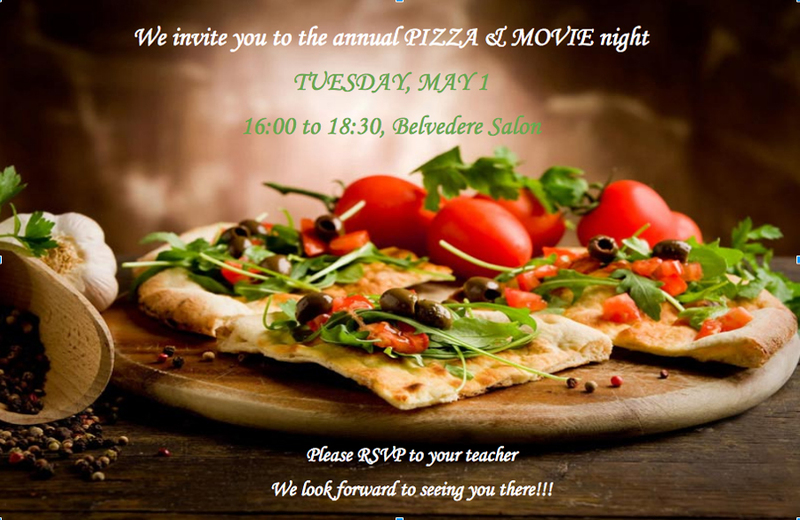 On Tuesday, May 1, from 16:00–18:45, the Middle School Event Planners Service Learning group will host a Pizza & Movie night for grade 5 students in the Belvedere Salon. It’s a fun and welcoming activity, providing a chance for fifth graders to meet and get to know some of the Middle Schoolers. See the invitation below, and please RVSP to your homeroom teacher (Ms. Maspero or Ms. Goldsworthy) by the end of today if you have not already done so. 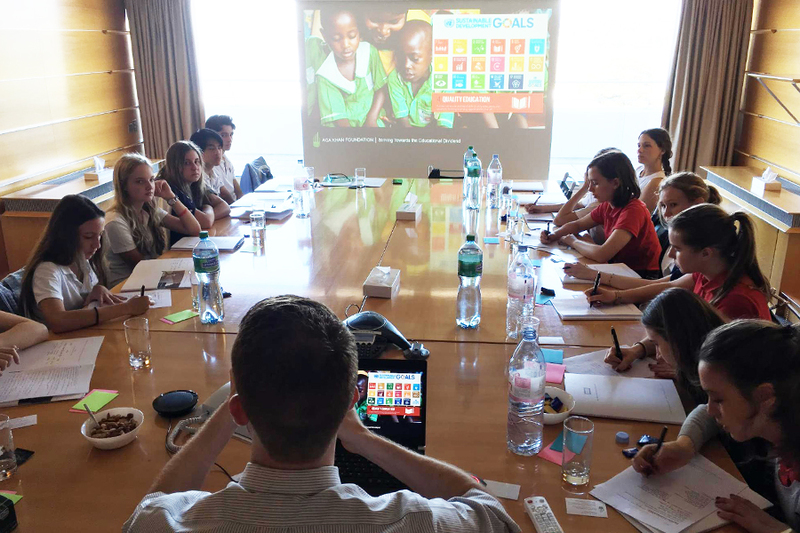 The World Issues SL Group traveled to Geneva last week. 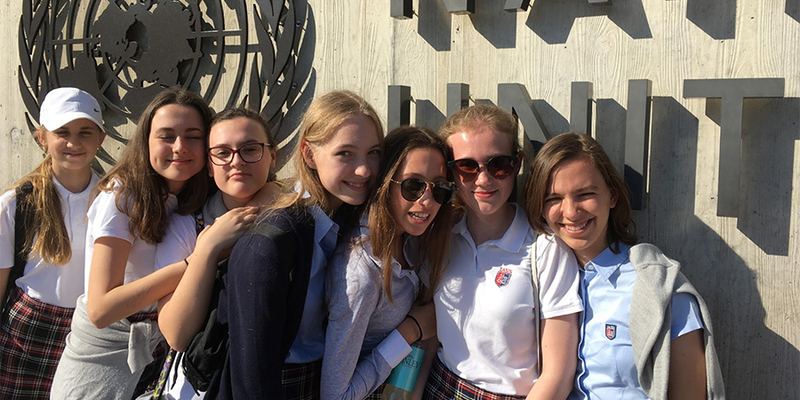 Thirteen students visited the United Nations, the United Nations High Commissioner for Refugees, and the Red Cross and Red Crescent Museum. Additionally, they met with a representative of the Aga Khan Foundation who specializes in education around the world. The focus of the trip was learning about barriers to education for many young people and examining some of the solutions and work being done by different organizations to improve access to education. Between activities, the group enjoyed some meals together and visited historical sites in the beautiful Old Town area of Geneva. Heifer International SL Group hosted an event called "Chicken Games" last Friday, April 20, during lunch recess. Tuesday through Thursday, the group sold no-dress-code bracelets in preparation for the "Chicken Games." The bracelets also granted any Middle school student entry into any of the relay games. 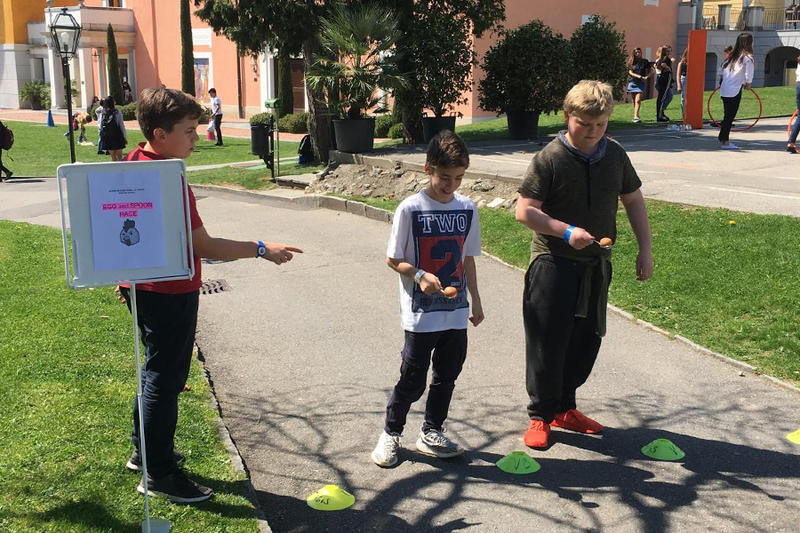 The "Chicken Games" included the egg-and-spoon race, Catch Leo "pollo," and an obstacle course. This event raised CHF 360, with all proceeds going toward Heifer International's "Flock of Hope" gift. We have raised enough to gift six families with a "Flock of Hope". Thank you to all participants for making this possible! Egg production begins almost immediately, which means malnourished children will now have something to eat. Eggs and poultry can also be taken to market and sold, raising much-needed funds for medicine, clothing, and more. A Flock of Hope donation is a remarkable gift that can lift a family from hunger and poverty and ensure its future. 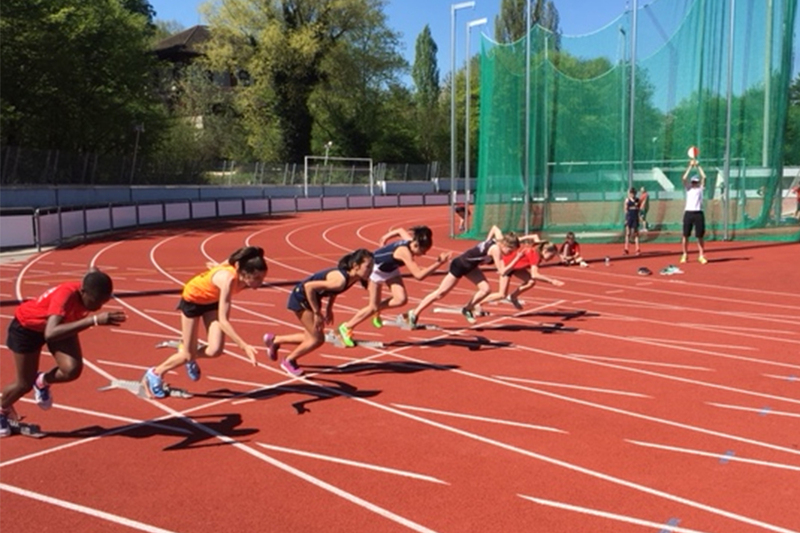 The MS Track & Field team traveled to Basel to compete in the ISBasel Middle School Invitational on Thursday, April 19. TASIS athletes competed in the 100m, 200m, 400m, and 800m runs; the shot put and discus throws; and the high jump and long jump. Many of our athletes had outstanding performances and were very happy with their personal records and best efforts. The coaching staff is proud of each and every athlete who competed: Florence Allanson, Sarah Bjorck, Floor Van Leeuwen, Kobu Chidambaram, Giorgio Ippolito, Philipp Larionov, Max Lim, Ivan Linnikov, Massimo Palmieri, Jan Sommerkamp, Oscar Schiller, Kelvin Tsoi, Carlos Vasallo, and Kirill Vavilov. Read more details in the Athletic section of the TASIS website. Ivan Linnikov and Oscar Schiller will join the HS Track & Field team for the SGIS Track & Field Championships in Zug this week. They will depart at 14:40 tomorrow, April 27, and will return on Saturday, April 28, around 20:00. Good luck to them! The MS Girls Volleyball team will host two tournaments in the Palestra this weekend. Tomorrow afternoon (April 27) at 17:00 they will play against Zurich International School (ZIS). On Saturday, April 28, they will play against ZIS at 9:00 and against American School in Milan (ASM) at 11:00. Golf Tournament: TASIS will be co-hosting a golf tournament in partnership with EFG Bank at the Golf Club Lugano tomorrow, April 27. TASIS faculty, staff, and students will be among the participants. A standing dinner and awards ceremony will be hosted by TASIS in De Nobili that evening, beginning at 19:00. TASIS vocalists, instrumentalists, and dancers will collaborate with conductor Andrea Cupia, the Lyric Choir of Lugano, the Opera ViVa Orchestra, and the Cantonal High School of Lugano in celebration of the centenary of Leonard Bernstein’s birth. Learn more and reserve your seats. MS students will also attend a dress rehearsal on Wednesday, May 16. For this formal event, students in grade eight must respect the dress code requirements listed below. There will be a dress check on Thursday, May 24, from 15:25–15:55. Students must bring their complete outfits to school (including shoes) for this dress check.